QC Residences represents the site of the very first purpose built chambers for the Queen’s Council Barristers of Melbourne at 472 Bourke Street Melbourne. 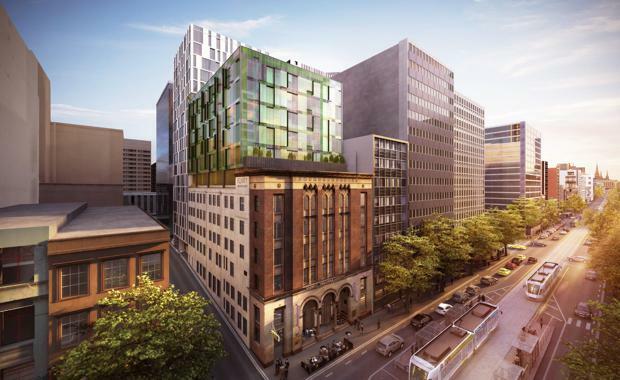 A heritage listed building steeped in history and tradition, will form the magnificent façade and front building of this spectacular new apartment development in Melbourne’s CBD. The development offers 1,2 and 3-bedroom apartments across three distinct living experiences - some are available with balconies. The former Barrister’s Chambers will be transformed into New York style apartments, featuring over 3 meter high ceilings and original heritage windows. Adding to the beauty of the restored front will be a further 2 contemporary buildings, each with their own unique inspiration that will combine to create one of Melbourne’s most outstanding residential developments. 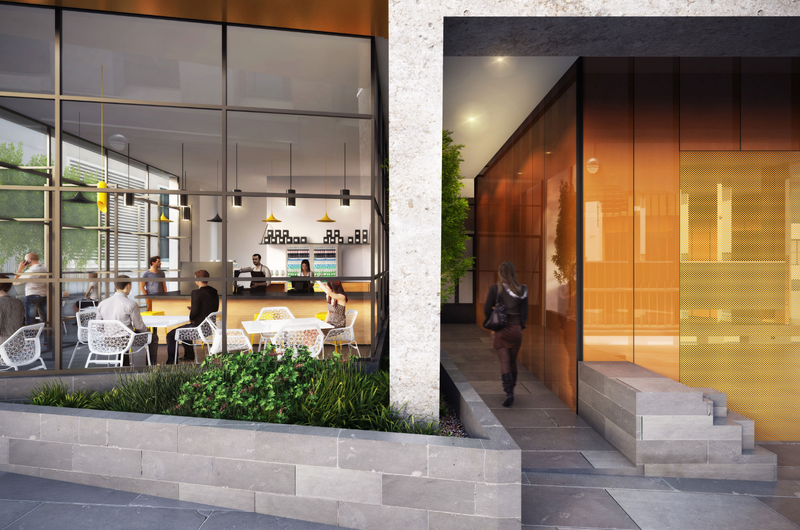 QC Residences will provide a welcome inner city retreat for those with a full appreciation of classic style and contemporary standards, and is sure to appeal to owner-occupiers and investors who value quality, comfort and a rare slice of Melbourne’s history. Purchasers will have the option to select finishes from either a light contemporary scheme or warm toned heritage palette. Floorboards will run throughout the living spaces of all apartments and additional heritage features are provided in a select number of apartments. Modern Miele appliances will be incorporated into the Kitchens, along with designer fixtures in the Bathrooms to further enhance the buildings stunning appeal. Joseph Catanese, Director of Savills Residential Projects, said that the combination of the architectural beauty of the façade together with the contemporary design of the two further buildings will create one of Melbourne’s most outstanding residential developments. Studio505 are an architecture and design studio based in Melbourne and working around the world. The studio team and our network of makers, thinkers and consultants bring together a vast and intriguing selection of possibilities. They are committed to delivering exemplary innovation, elegant integration and sophisticated responses within the complex maelstrom of the design world. Studio505 work with complex briefs that are considered at all levels, from aesthetics and community through to constructability and signature identities. Studio505 has developed an intense and enthusiastic approach to the exploration and communication of its architectural ideology.The studio seeks to inform, learn from and test their clients and themselves by rigorously investigating the possibilities and outcomes inherent in the practice of design. Pomeroy Pacific is an established Development and Project Management company with a 45 year track record for delivering high quality developments. Pomeroy Pacific’s passion in their pursuit for excellence is reflected in the quality of all their projects.They provide their Purchasers with peace of mind that what is being promised is actually delivered. Pomeroy Pacific’s disciplined approach to Project Management ensures projects are delivered on time, on budget and to the level of quality that all parties expect and which they will be proud of. This is the Pomeroy Guarantee. 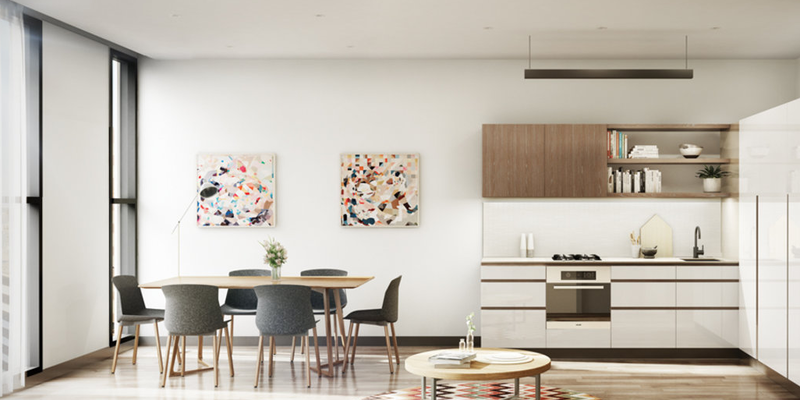 This apartment development project is only minutes walk to the Yarra River and all the vibrance of Southbank and Crown Casino. Whether you choose to board the tram that stops just outside your front door or take a casual stroll, you’re no further than 200 metres to the retail core of the CBD, which includes the major departments stores, our famous arcades, laneways and Melbourne Central Shopping Centre. QC's one-bedroom apartments start at $395,000, while the top of the range three-bedroom, two bathroom apartments start from $1.125 million. QC Residences range in size from 43 to 111 square metres. Construction is expected in the third quarter of 2016.